Yay! I'll be sure to join your next stream comrade! 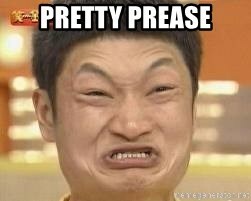 Let me be your friend prease. Friend request sent for event following, etc. o7! Maverick Hello! This x \ z, so you unban me in the 1.5 beta version or not? Маверик привет! это x\z, так вы меня разбанили в 1.5 версии бета или нет? Maverick, can i ask you a question? np. For me, this topic does not interest many, but others are expected to engage from me. I am not longer active in the world lock on, and more likely I will not be. "Dammit Jim, I'm a Squadron Leader, not a software developer!"